Recently I had a visit from Anna, a regular follower of the blog and a great swap partner in the first Clasheen Crafty Swap! 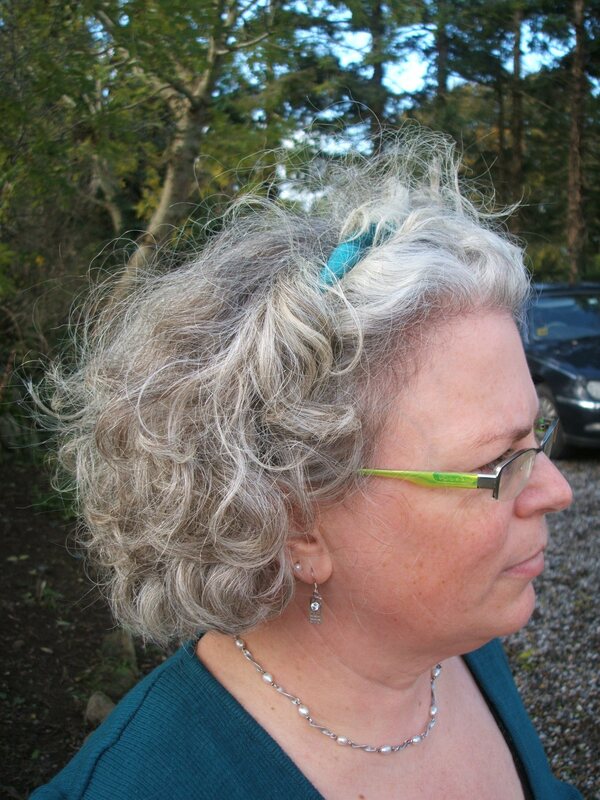 This photo shows Anna wearing one of my simple fleted necklaces as a hairband. Thanks Anna for the order of 4 more of these accessories, I will get them made and in the post for you next week. I will be offering these necklaces/hairbands for sale on my Etsy shop for E20 each and am happy to make them in any colours that might take your fancy. Please email me if you would like to order one if I have not had time to put them up on the shop, they would make a great Christmas present! This entry was posted in Felt, Swaps and tagged Etsy, Etsy shop, Felt, felted, hairband, necklace by Nicola. Bookmark the permalink.